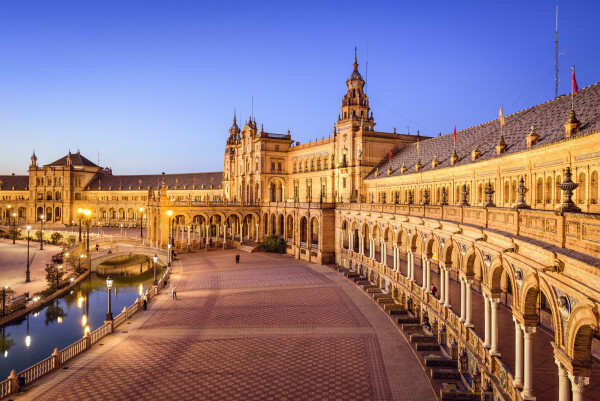 Seville is the capital city of the autonomous province of Andalusia. It boasts the only river port in Spain, and is home to three UNESCO World Heritage sites; the Alcazar palace complex, the Cathedral and the General Archive of the Indies. Plan to be in Seville during Semana Santa (Holy Week) or the Feria de Sevilla (Fair of Seville). Semana Santa is held the week before Easter and the city is world renowned for their colorful, solemn processions commemorating the last week of Jesus’ life. The Feria de Sevilla is held two weeks later and is a lively week of festivals including dancing, drinking and socializing. For a true Mediterranean dining experience, try Eslava, a designer tapas bar and restaurant known for it’s cigarillo and foie gras. Make reservations or plan to arrive early, as there is often a wait for a table.